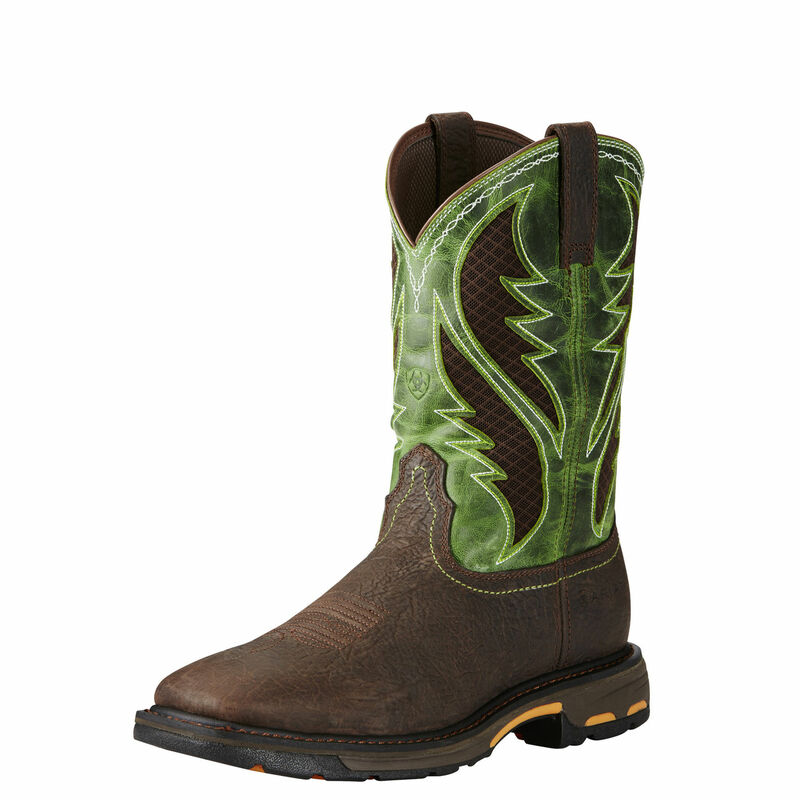 The Pulley Steel Toe is an 8-inch tall lace up Stampede™ work boot similar to a roper with functional details. 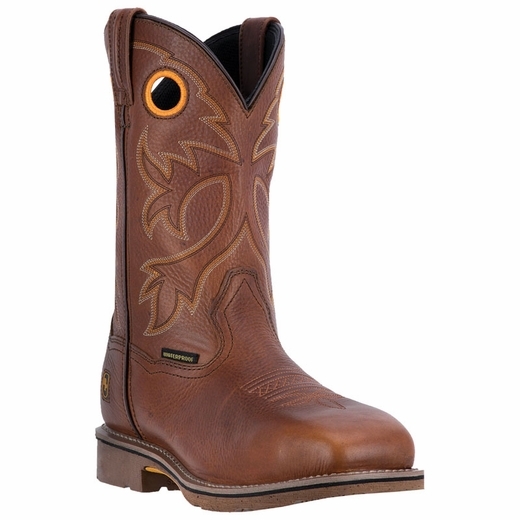 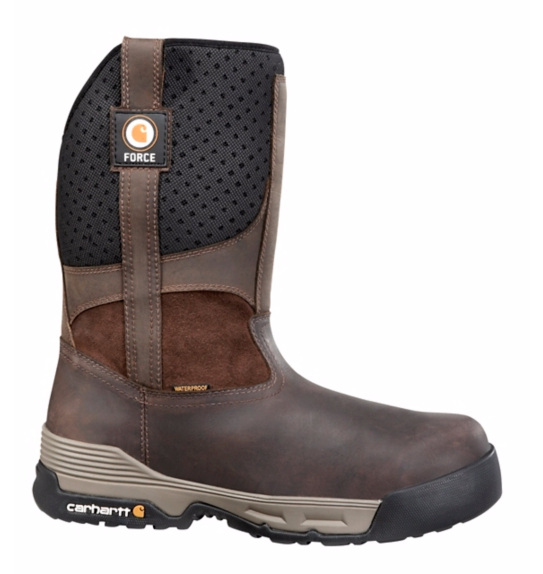 Its distressed brown leather exterior gives this boot a slightly vintage feel and J-Flex Flexible Comfort System® insole protect and support the foot on even the longest work day. 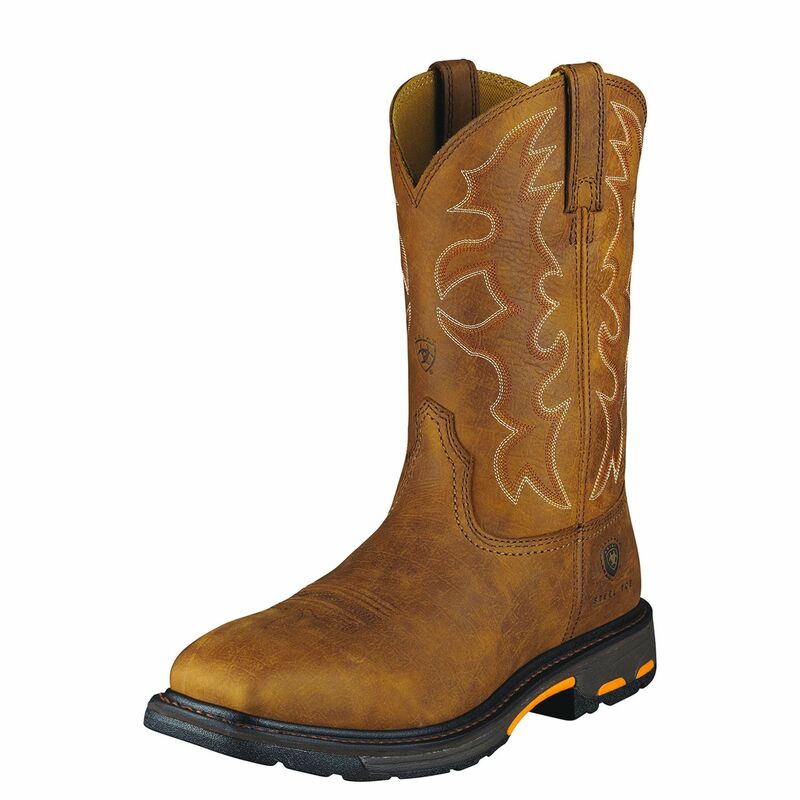 The square steel toe provides added safety and its Stampede™ Rubber and EVA Combination is resistant to abrasion, chips, slipping, and marking which allows you to comfortably work on any surface.